Closetmaid is my go to DIY system, I’ve used it in many different projects. It is easy to put together and install, you can customize it to your needs, it is inexpensive, and it is normally readily available at your local Home Depot. There are a few different closet lines to choose from but I generally use the Selectives line. The above picture includes a 16″ starter unit with two 5″ and two 10″ drawers and shelving above the top closet rods. The cost for the entire system was ~$300. 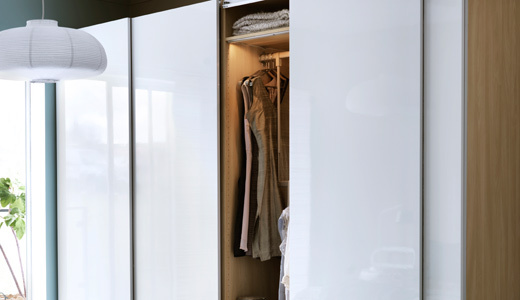 PAX system by Ikea is a stand alone closet system that works well in homes that have small or no closets. For a more detailed review check out Driven by Decor’s assessment of the Pax system. ELFA – I love the infinite possibilities that ELFA provides in terms of being able to shift around the components to customize the system as needs change. I do not love the ventilated shelves which are required above the clothing rods. They make a product to go over the wires however there are other systems that don’t make you purchase additional materials. I love using Elfa in office and craft rooms as a shelving system because you can move the components over time, you are not locked into a certain shelving height, and because there are no closet rods you can use wood shelving. There are other systems on the market but these are my go to DIY closet systems. Do you have any favorites? This entry was posted in Closets, Organizing: Space, Professional Organizing and tagged closet, closetmaid, DIY, elfa, home, organize, organizing, pax, reviews on June 17, 2013 by Organizational Specialist. People tease me because I am so excited that my hangers are all uniform, but see how nice it looked in that bottom picture..I love it! 🙂 Uniformity helps give the eye a place to rest, thus having the same type of hanger makes the space look nicer. I don’t make that a priority when organizing a closet, as long as the client knows what they have and where they have it, I leave the option of uniform hangers up to them and their budget. I’m obsessed with beautiful and organized closet solutions! 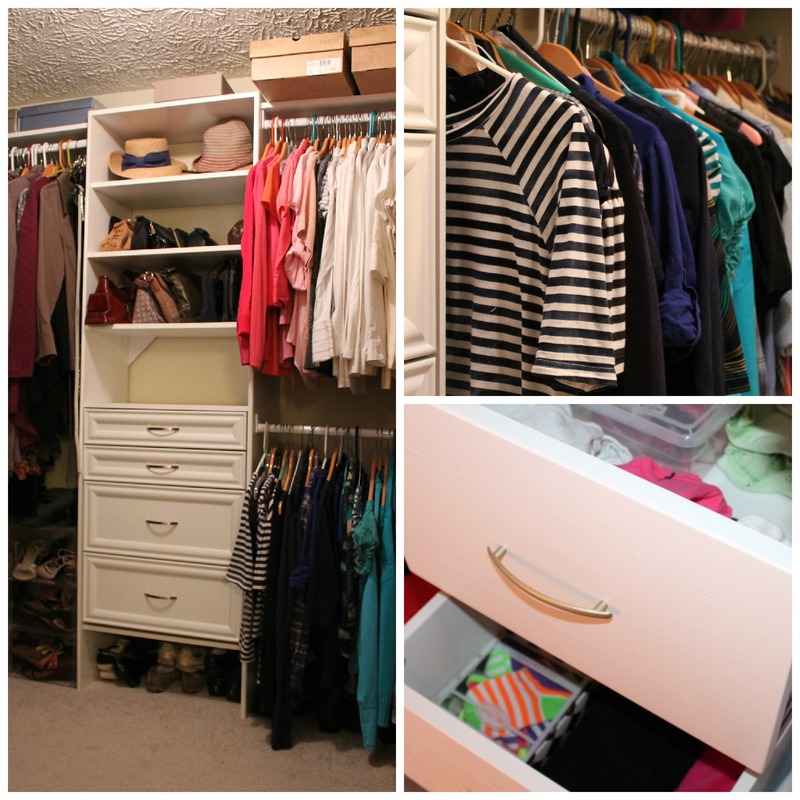 Check out this great blog on Kristin’s top closet solution picks! This might seem a little low tech but have you thought of using colored tape to denote different sizes. By color coding the sizes you don’t limit yourself to one type of hanger or tag. I would create an index for quick reference and put it on the wall so that anyone could see that red tape meant size 8, or blue tape size 6. Another alternative is to print your own tags http://forchicsake.com/organize-your-closet-printable-hanger-tags/ . Hope this helps! That’s disappointing to hear about Elfa… I have that same problem with my current closet set up.